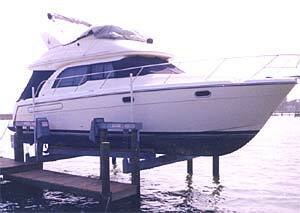 Eight piling boat lifts are a proven design to hoist large capacity boats. 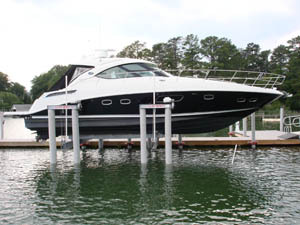 This 8-piling 4-motor unit can be used as overhead boat lift systems to raise boat further out of water during rough sea conditions or as an low profile which is more aesthetically pleasing. The lift is driven by worm gear driven electric winches. 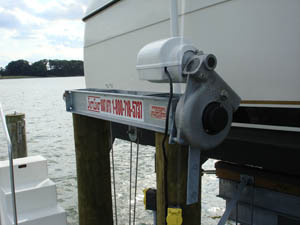 Design allows easy access to vessel. Carpeted bunks gently cradle your boat. 20,000 lbs, 25,000 lbs, and 30,000 lbs.